WIth the current Porsche Cayenne approaching its seventh model year an all new version is on the way. But we also here that there will be a coupe-style variant similar to the BMW X6 and Mercedes-Benz GLE Coupe following soon after. And yes, we gave up this semantic fight long ago - in this case "coupe" simply means a sportier, lower roofline similar to the style of an actual two-door. 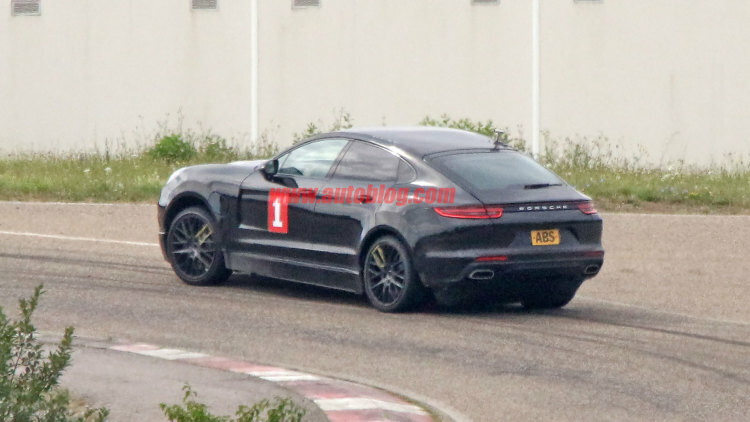 These spy photos give us some idea of what a Cayenne coupe could look like, although only in very rough form. That's because you're looking at a 2017 Porsche Panamera body stretched over a taller SUV platform. Even with the low resolution of these long-lens pictures, you can see the extensions grafted on below the doors and bumpers. 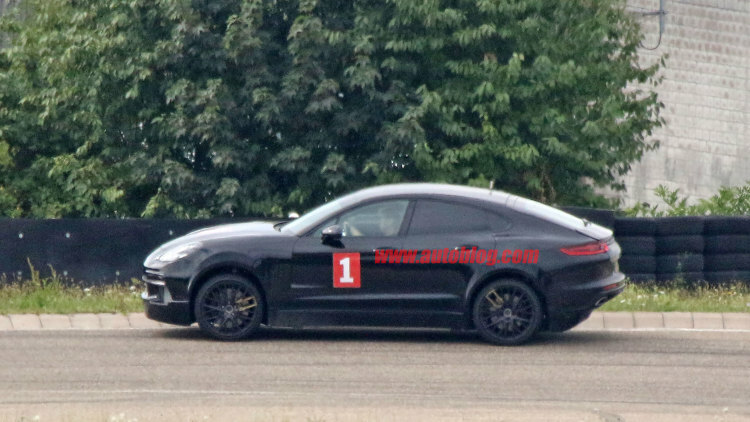 Of course, with Porsche styling language more of less consistent across its entire model range the general look of the next Cayenne - or Cayenne Coupe - won't be much of a surprise. And we expect the interior to closely mimic what we've seen with the new Panamera. The SUV's true visual character will depend on the details, and we'll have to wait for the production version to see that.